I had saved the Franklin Cemetery for last. 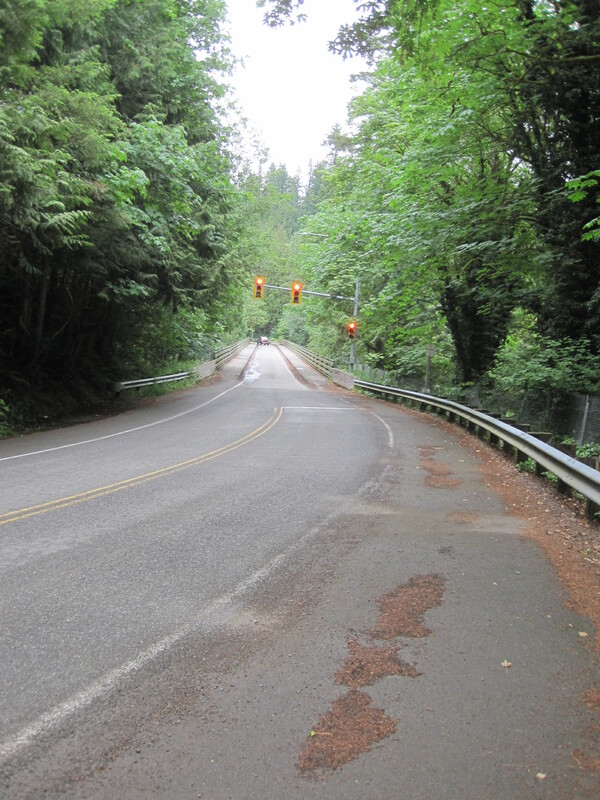 It is only right that this is the third and final installment of my Franklin “the Ghost Town” adventure. I have to say I got more than I bargained for. My experience was memorable and made me respectful of things we don’t understand. A ghost town is not named just because it was something in the past. It can harbor things that do not want to let go of what was. Up the hill I went in the direction of the arrow on the sign. There is a certain unease and anticipation when one thinks of old graveyards. They hold history but also contain the lives and perhaps the spirits of those gone years ago. 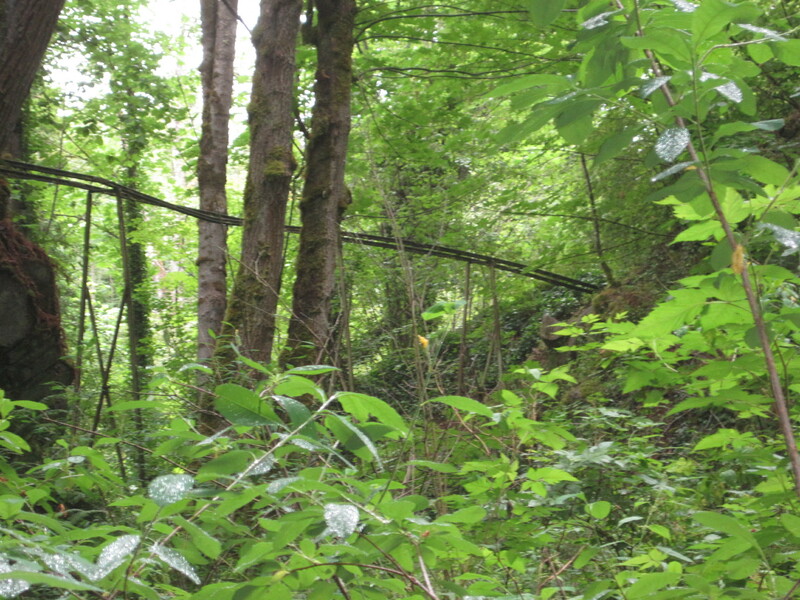 However, before I got to the end of the trail and what it held in an over 100-year-old cemetery there were more pieces of the old coal mining and town. Not till I got back home and did more research did I realize that the path up the hill was actually a residential area. I think houses bordered this once road all along the way. 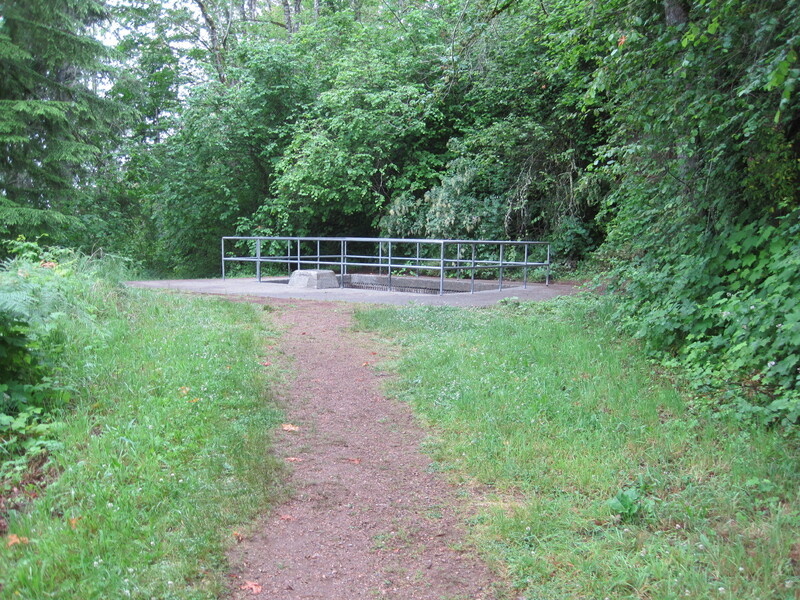 Soon I crested the little hill and saw an area with railing and cement around it. I had come upon a grated mine shaft. Want to get a little closer? 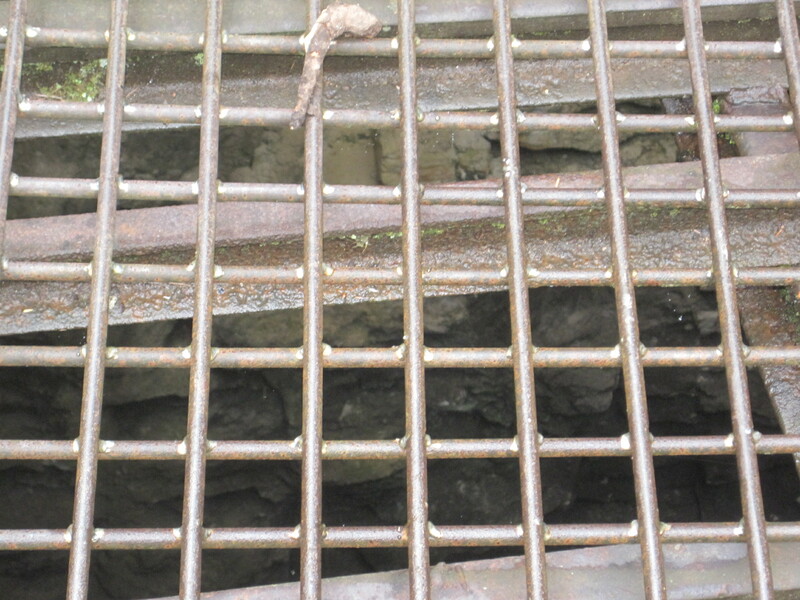 Here it is… you can see that it has been capped in cement and a major grate. There will be no one falling into this deep deep hole in the earth. To think this was just done in 1987. One has to imagine there was something else there keeping looky loos from hurting themselves!! There is a plaque on the little block you see in the front. 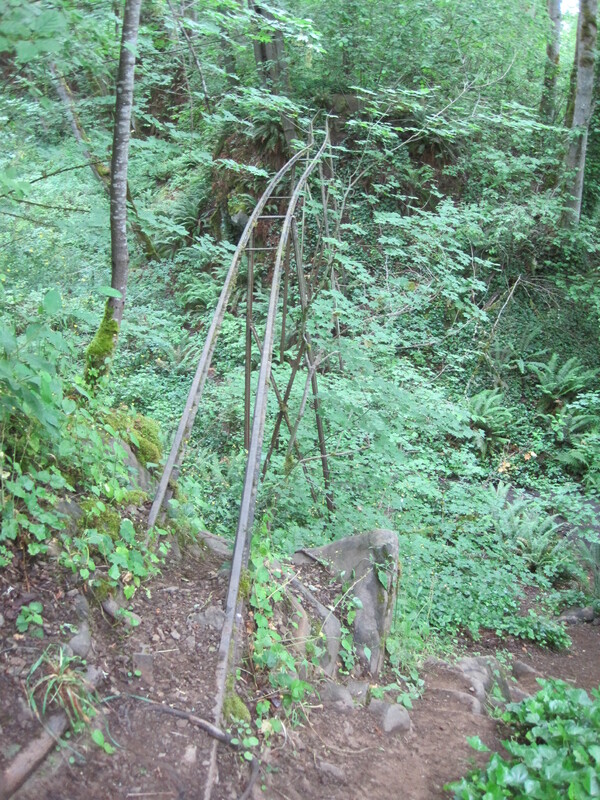 It tells us that it is the Franklin Mine #2 shaft. 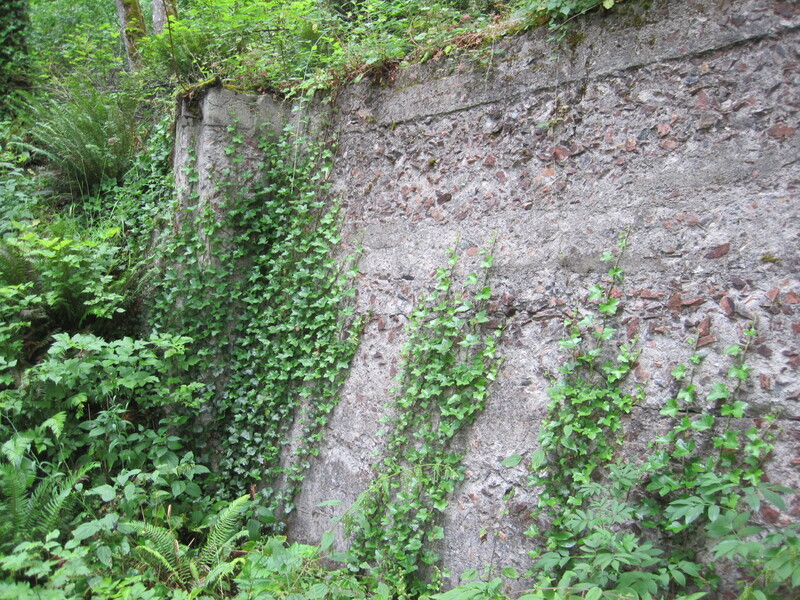 It is from around 1910 and is about 1,300 feet deep. I was tagging along with a small family I met on the trail. Two moms and a herd of 7 kids. One of the little boys tried sending a rock down to see if he could hear it hit the bottom. We had to tell him it was likely he would not due to how deep it is. To give you perspective it is about the distance of two Space Needles down. YIKES, no wonder the state went to all the effort to cap it. I tried to take a picture downward into the shaft. Since I have fear of heights and tend to want to not die falling in I did not crawl out on the grate as some do for a photo. So, my next photo is the best one I got. Kind of gives you some mystery huh? Check out how sturdy they made this. It had major girders and then the metal mesh over that. Sure don’t want to drop a camera or anything valuable here. 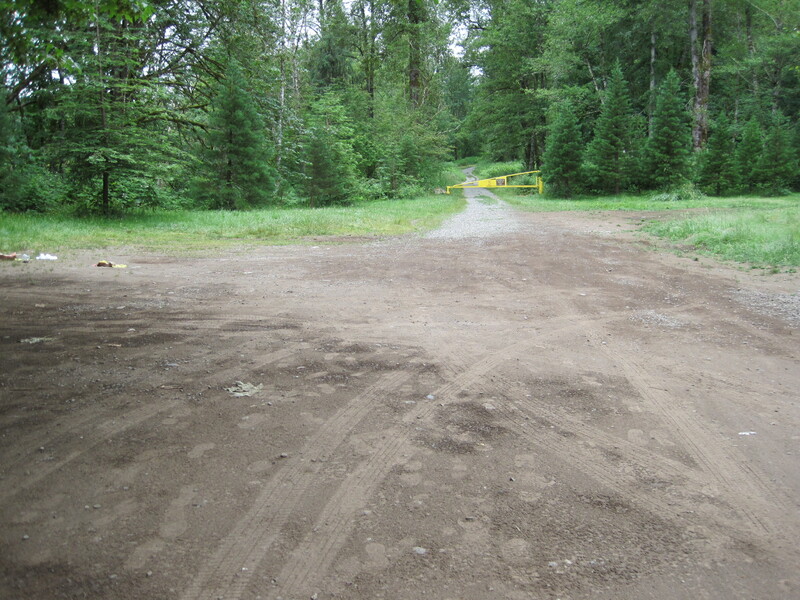 From here the road type trail turned into just a worn path. At places it was on the edge of a drop off and even had eroded away in places. Careful hiking was in order. 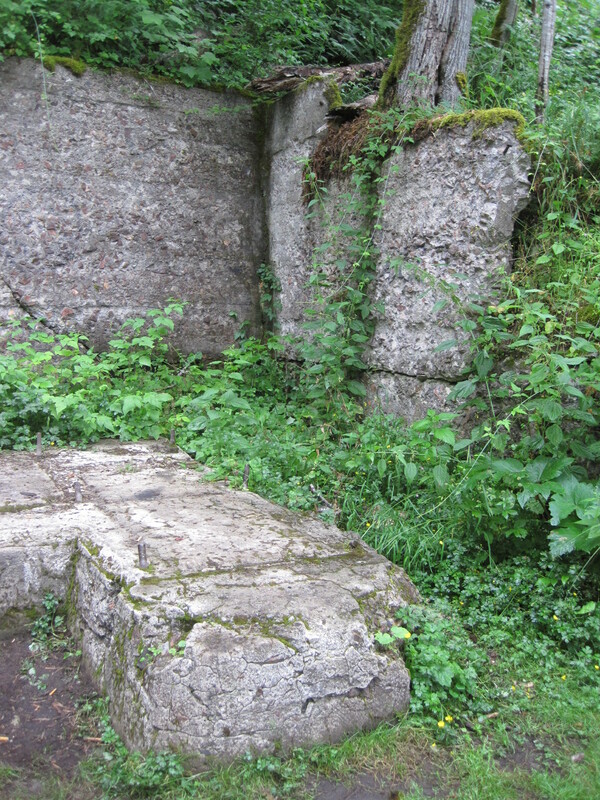 Not far from the mine shaft was some foundations that I think from my research was a crusher and a place to load the coal. Could be wrong but that is my best guess. 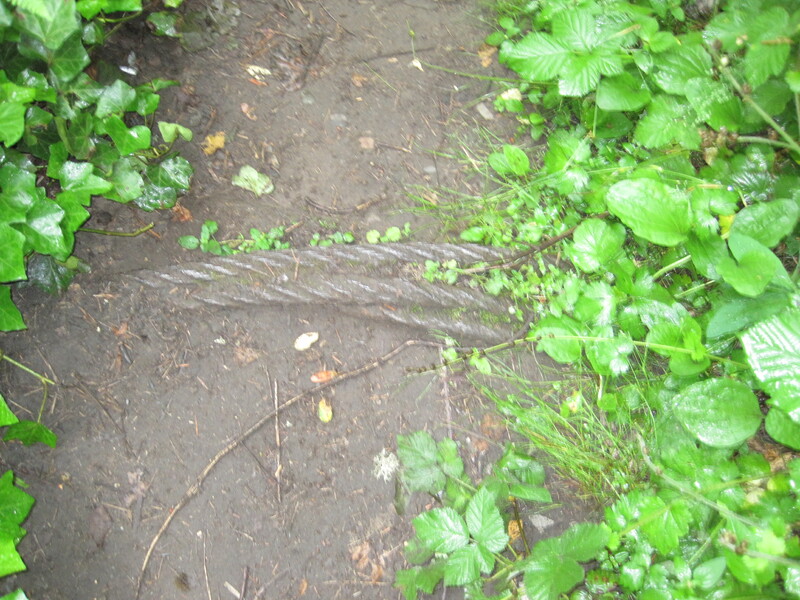 A sign that there was heavy machinery and mining is this cable embedded in the ground. Can you imagine what this was hauling? Coal cars? Little bit further down the trail was some more ruins. It was a bit swampy here with drainage even in this dry summer. That thwarted me from getting closer. 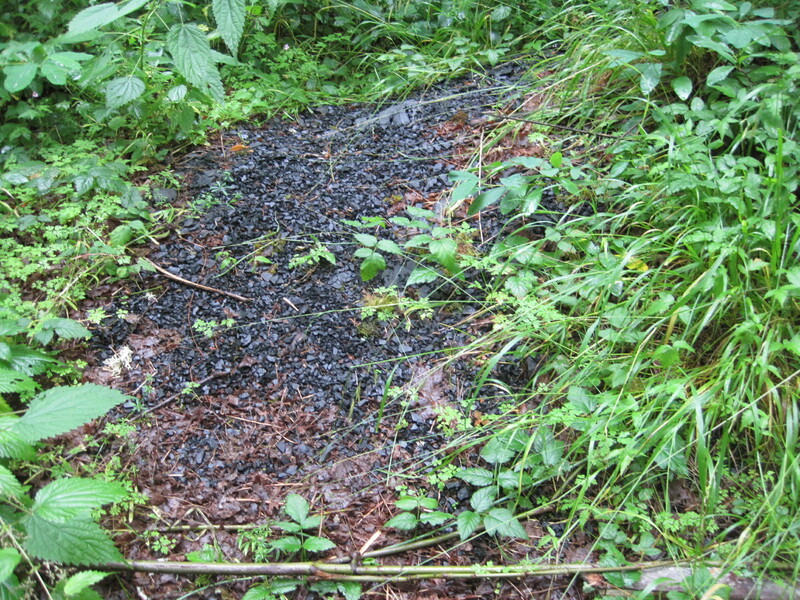 I did some investigating back behind a ridge and found coal visible. The family had gone ahead to the grave yard, so I picked up some for them. They were fascinated by having a small piece to take home. 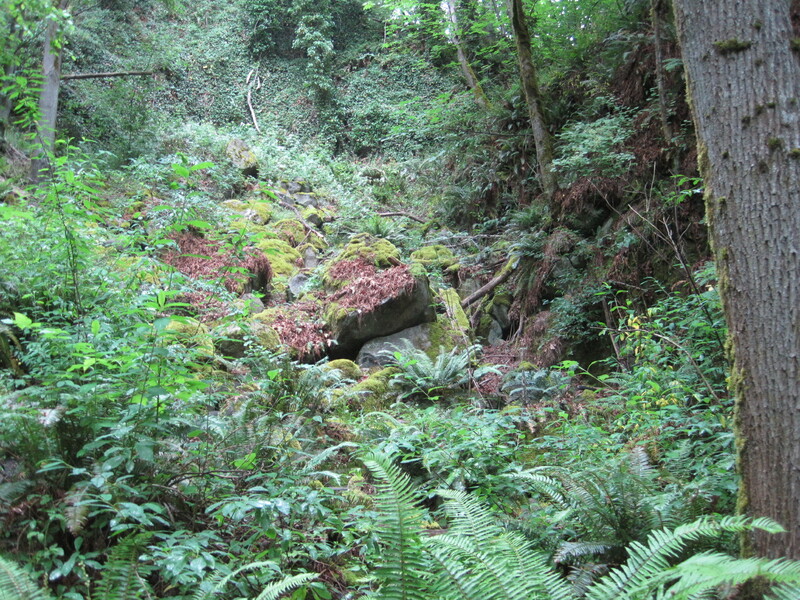 Just down a short path from the coal pile was this rubble of big rocks. Is this a closed mine entrance? Could be and your imagination gets to run a little wild. 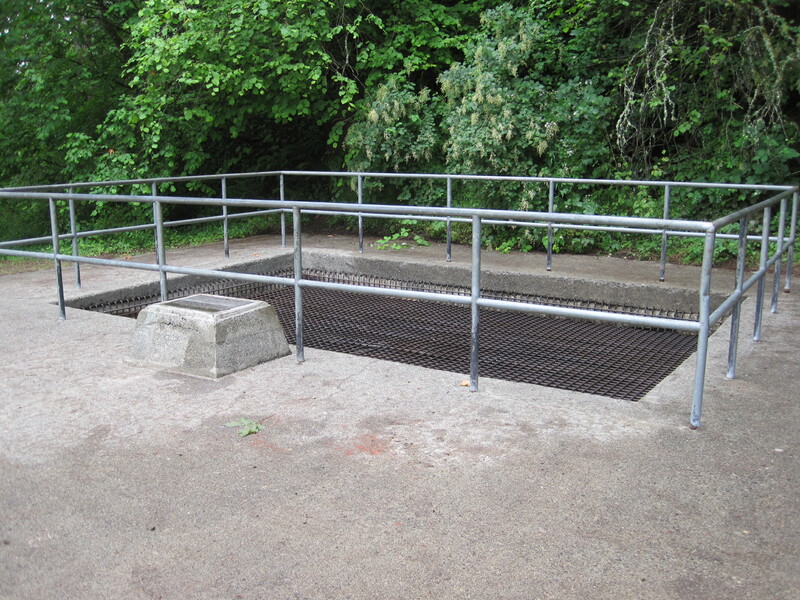 Could this be a closed coal mine entrance? Right close to this little pile of coal is a small bridge over a gap in the cliff like ridge. We thought it carried coal cars. What else could it be? I found out during my Franklin research this held a water line for the small city. Imagine that! 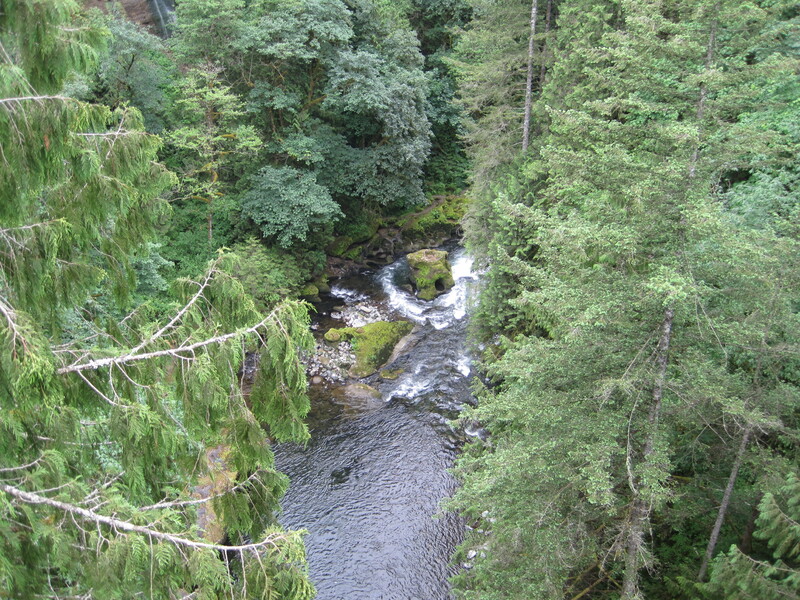 I climbed up the steep incline and got the next photos. I did this on my way back from the cemetery. I was a little tired and as happens to us hikers I tripped over a root at the base. I got to the top safely but now knew I needed to be vigilant in what I was doing. Have I made you wait long enough for the unease of a cemetery. Get ready it is not what you expect. All of us have a vision of grave yards as peaceful grass and nice headstones. Nope.. that is not the Franklin Cemetery. I was actually distressed quite a bit by how overgrown it was. The family I had joined up with had a teenager with a small machete. 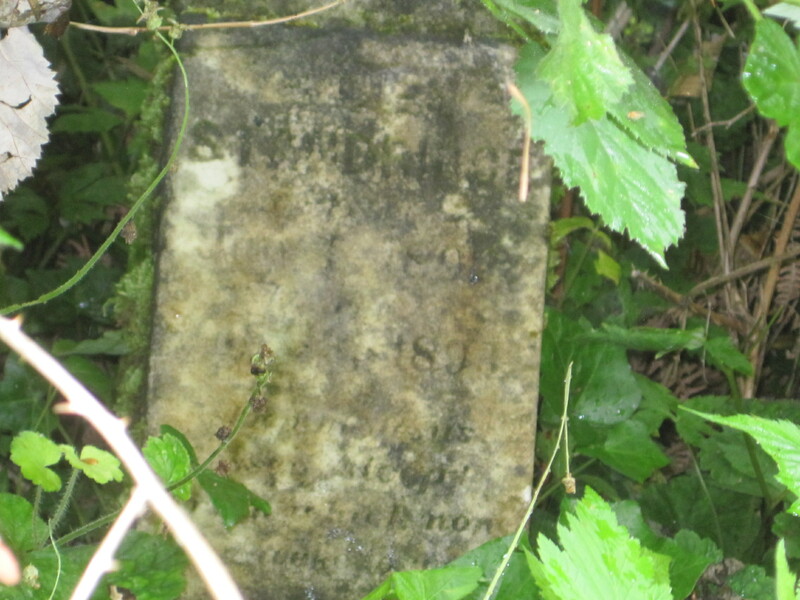 He cut back places where the trail between the gravestones was overgrown. 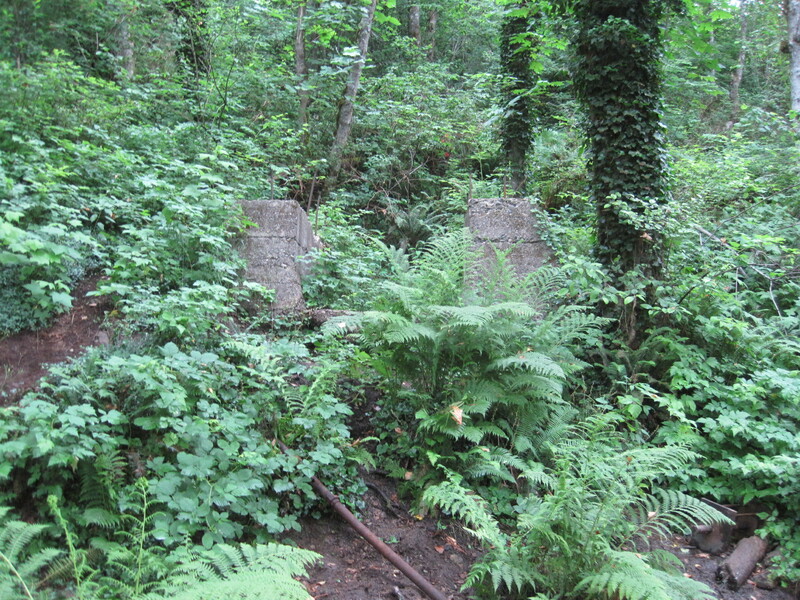 This sad place held graves of miners who died in one of the worst mine disasters in Washington history. 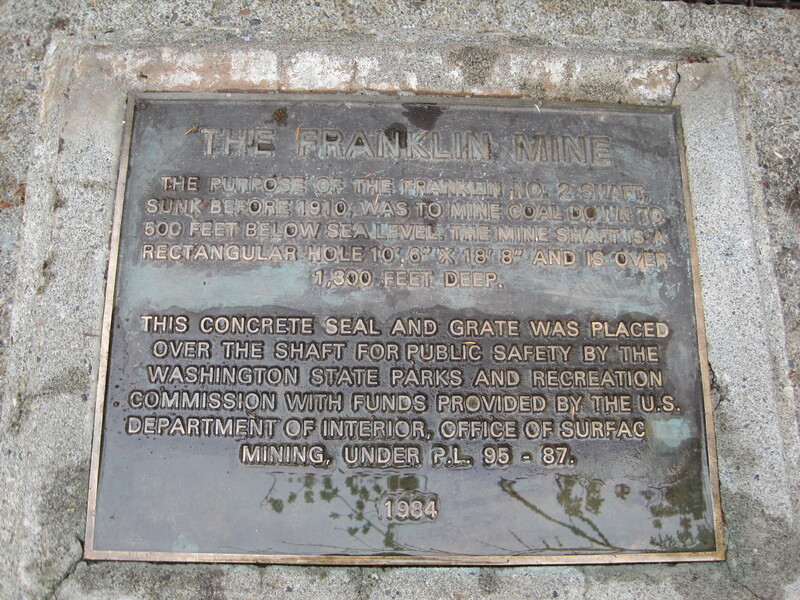 In August 1894 there was fire here deep in the mines at Franklin. Plus small baby graves were visible. Just plain sad. God rest their souls. It was a bit dangerous here. 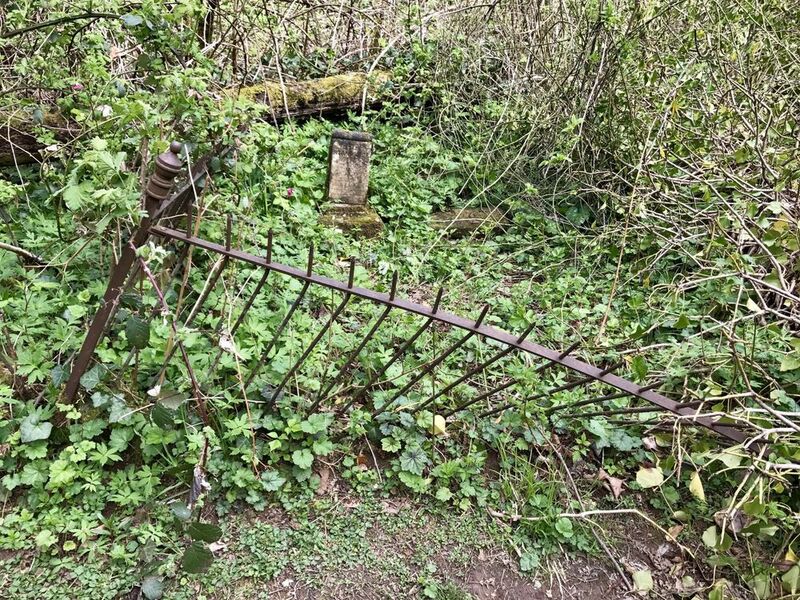 Not only were there blackberries and vines clawing at your legs and arms but old fencing. Many of you have seen the old wrought iron fences from the Victorian era. 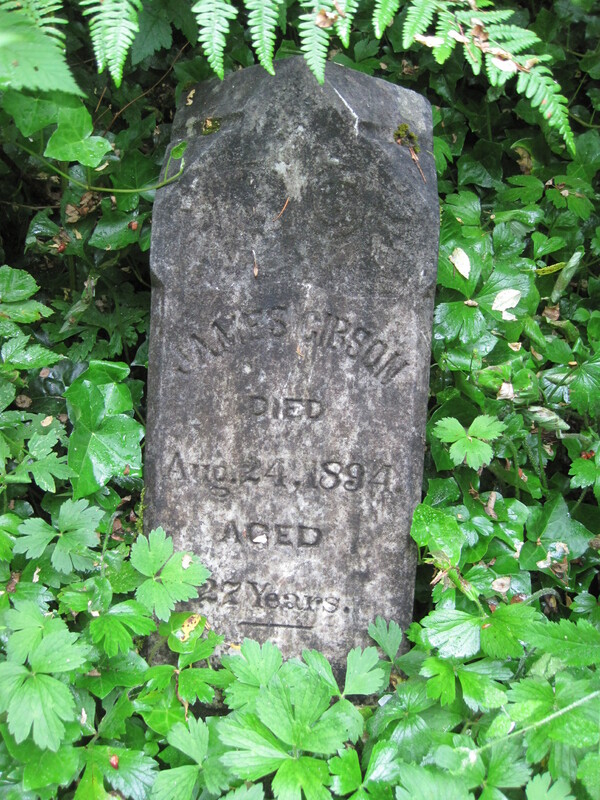 It was not uncommon to see them in cemeteries around a family plot. Here in Franklin they used them too. However, they were pushed down and buried under briers. They were just waiting to poke someone. This photo was from another blog site. Imagine this now 3 years later and more overgrow. Now the story gets spooky. I parted from the family and went down a different path. 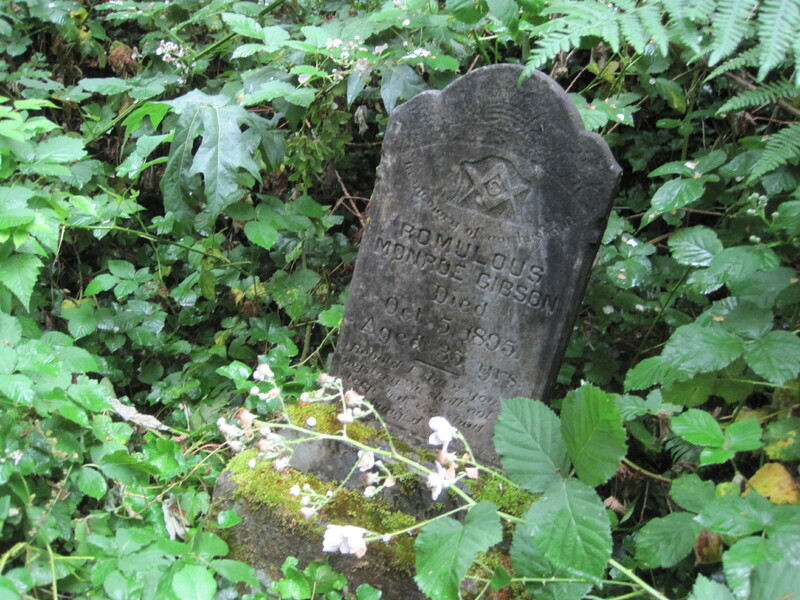 I found this headstone I could not make out. Not sure what possessed me to break my rule of not getting into positions I should not…. however, I did. What I did was step over the old fence to get a better look the stone. And a picture to see later and help me sort it out. The fence poked my leg. Did I stop then? NO, I did not take the hint and climbed over anyway and took this photo. 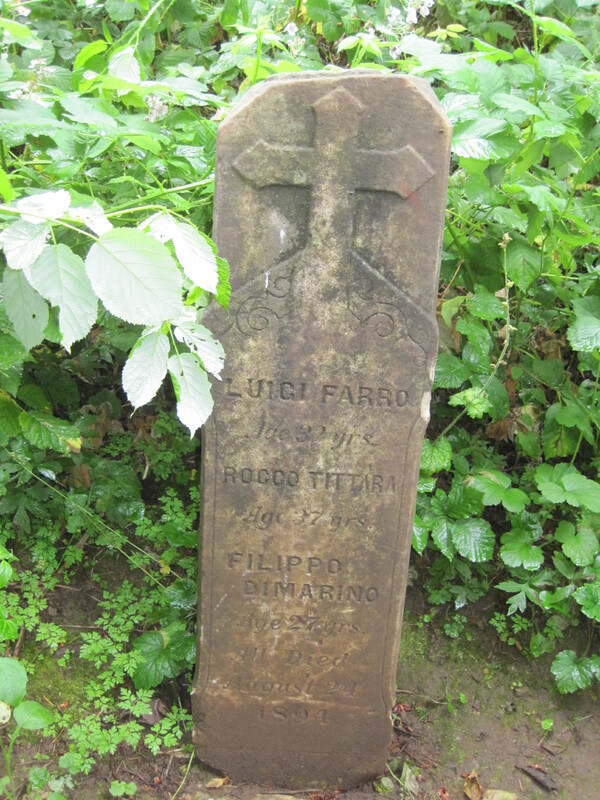 Worn tombstone that attracted me like a moth to light. I have to tell you this photo even gave me issues posting it. It took me four tries to get it to go into the post. When has that ever happened to me? I am charging ahead despite the trouble and showing you what is unexplainable. This smells like a spirit who is not happy with all the people trucking by him. He is not at rest and has even disguised his stone. Nothing else will explain two things that I have to tell you. 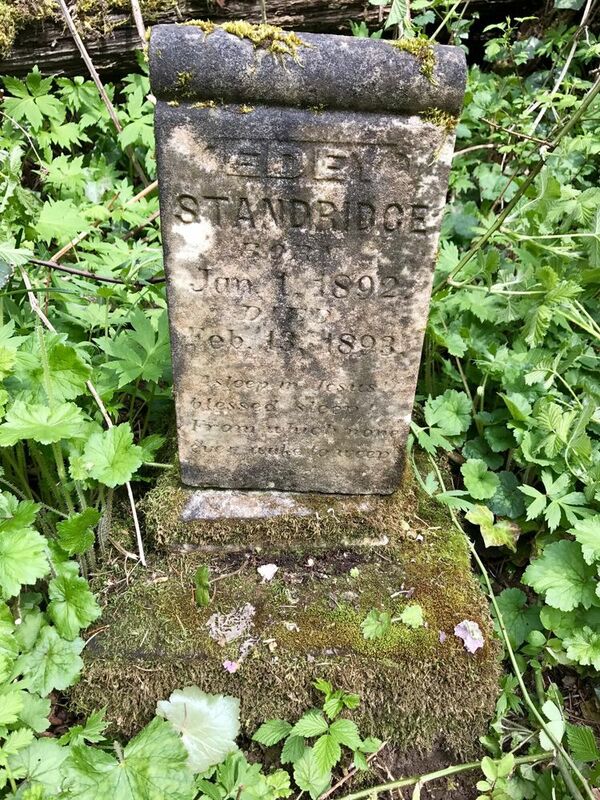 First here is a picture from someone else’s blog only a few years ago, See how the marker is readable? How could it become so much worn in a couple of years? I have to add that this is a baby’s grave. 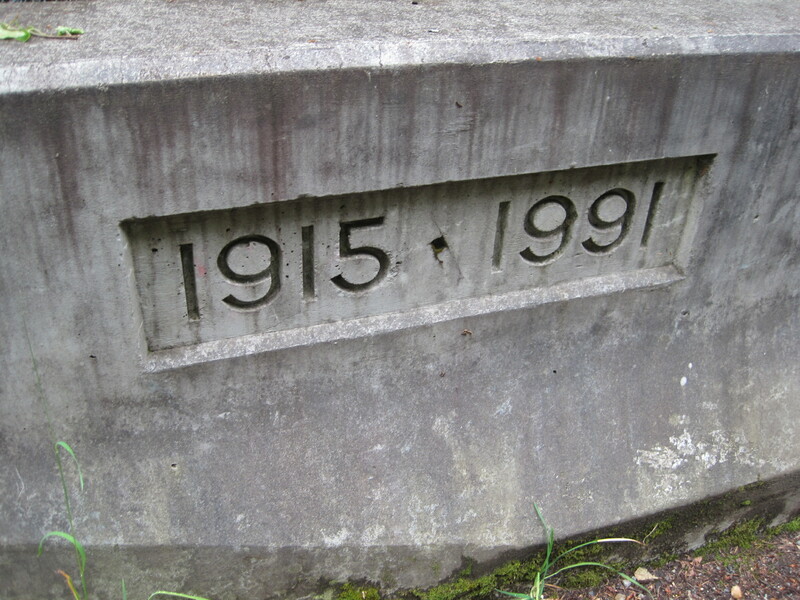 1 year old and gone over 100 years ago. Could his mom be watching over him still? How will we ever know. Now the second thing. I got home and took my snagged jeggins off and found them matted with blook. I had a wound in my thigh. Yes the fence had poked me so bad I bled a bunch into my wet jeans and it scratched me for 3 1/2 inches down. 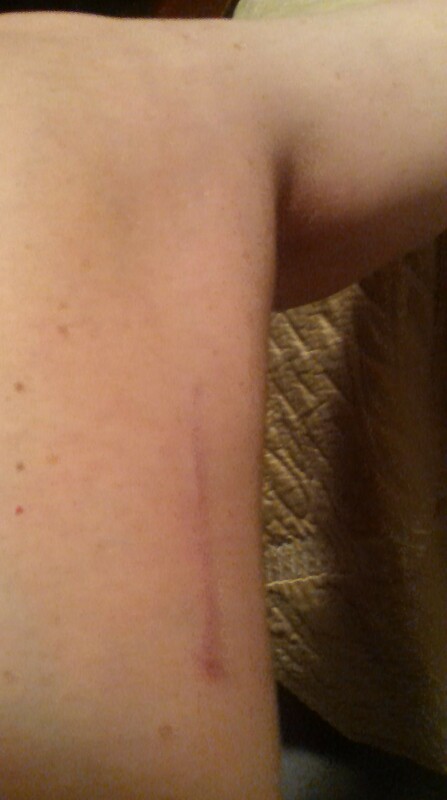 My scar from graveyard fence – 6 weeks later – see where the hole was and then the scrap downward? The story goes on… I got such a huge bruise that the following night I freaked out that it might have a blood clot problem. Then my mother’s voice rang out to me — step on a nail and get lock-jaw!. NOoooooOOOOO that is terrible and my mom has been gone for years so I was even more spooked out. I went to prompt care the next day. The doctor was enchanted by my tale of being poked by a wrought iron fence in a grave yard. She measured my contusion as 12″ x 8″. Told me it was not going to give me a stoke but I did get a Tetanus shot.. which nowdays is a combination of whooping-cough, diphtheria and tetanus. This ghost left a mark on me and I am not sure what you think but I am telling you there was something going on besides me just being clumsy. I want to end my adventure tale on a good note. 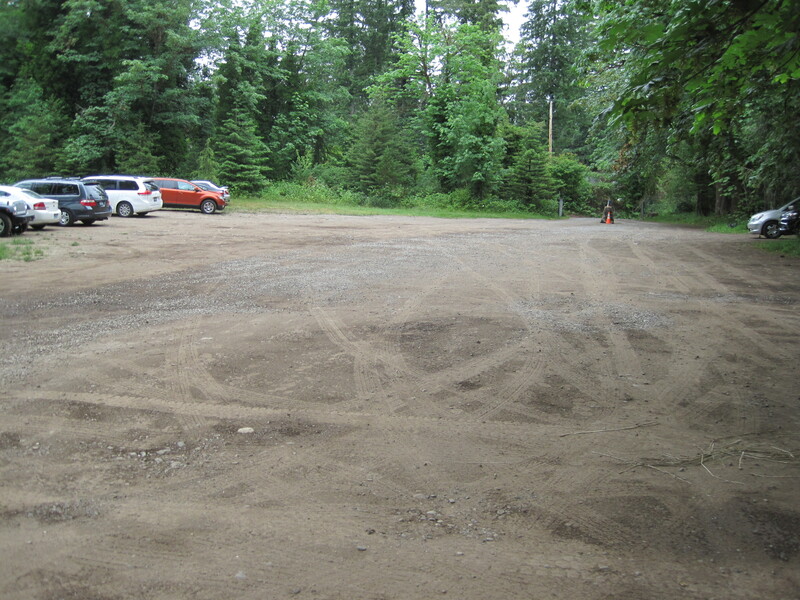 After I got down off the Franklin hill I took a shot of the parking lot. 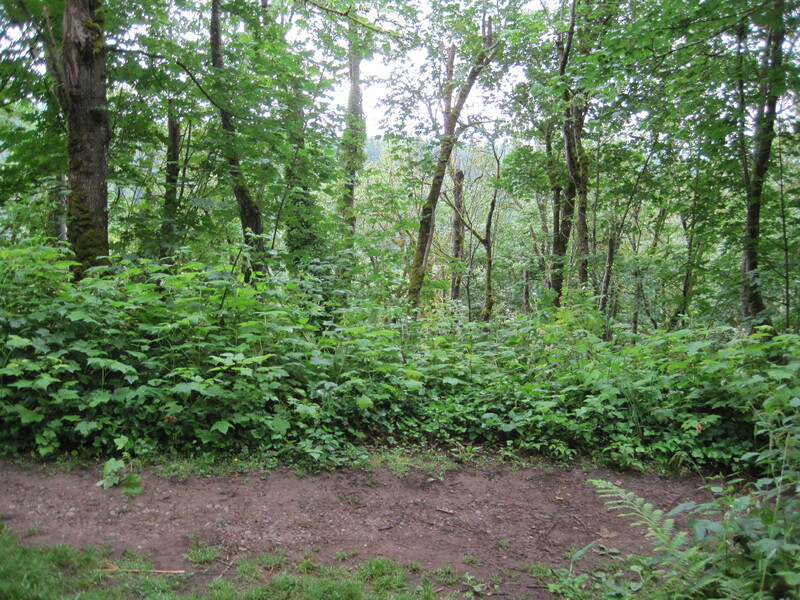 This area is visible in the drawing posted in the 2nd post about the foundations of Franklin. There was a masonic order building and several businesses down on this flat spot. Here is what it looks like today. But it is not over yet! 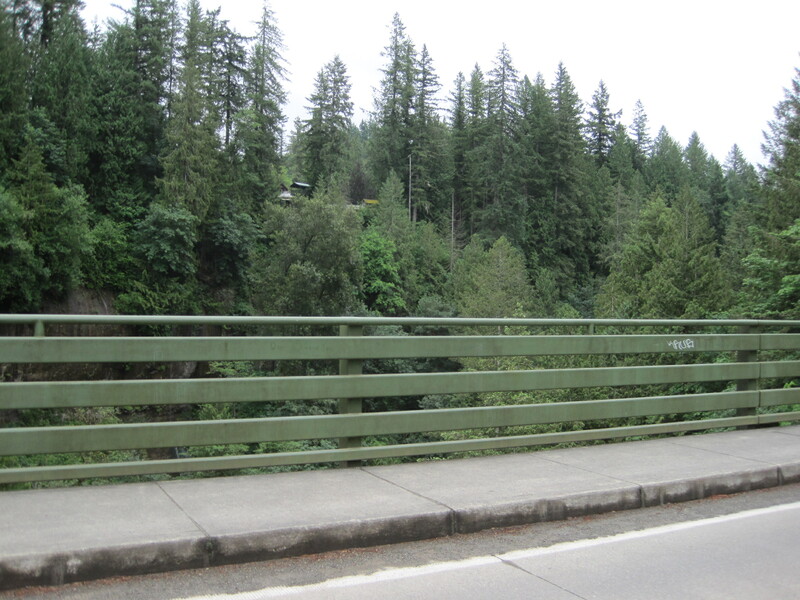 Right outside the entrance is a one way bridge over the Green River Gorge. Nature at it’s best and remember how I told you I had been here almost 50 years ago. It has been rebuilt but memorized at the edge. The view is something to behold! Adventure over.. just have to drive home now! Ha!! if I had only known at this time that my Franklin Graveyard experience would haunt me for days,weeks and leave a lasting mark on my leg! Hi, batgurrl! I’m writing a novel set in the nearby ghost town of Taylor, Washington. I loved looking through these photos. Thank you so much for posting and sharing your adventure!